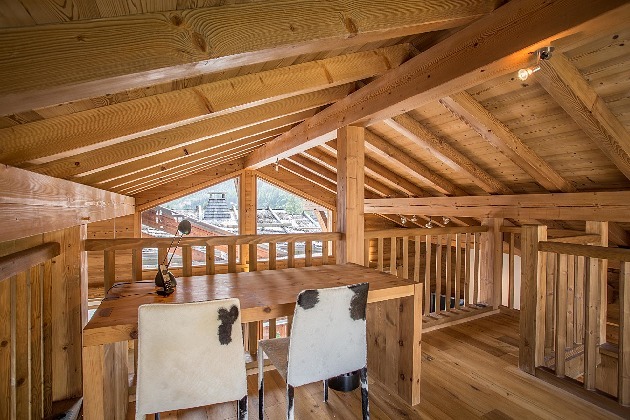 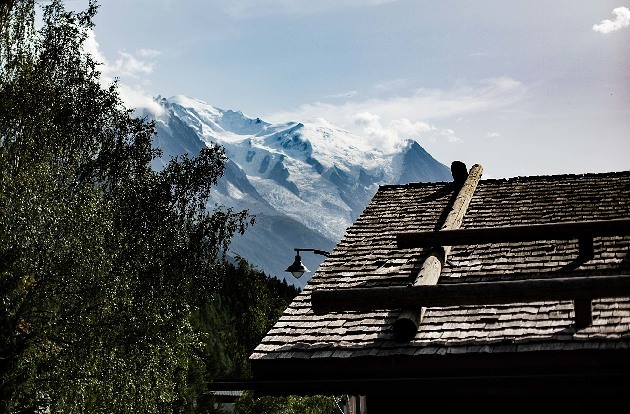 Luxury 4 bedroom chalet (8-10 people) - Located in a quiet hamlet on the top side of the valley (MontRoc), with a complete view of Mont Blanc. 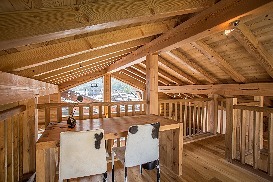 Construction was completed in Dec 2010. Chalet offers 240m2 living space and 23m2 garage. 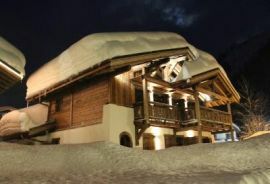 Ground floor comprises: large entry hall, dressing area, 1 master bedroom + ensuite, 2 double bedrooms with ensuites. 1st floor comprises: large, high ceilings, open area (75m2)with fully equipped kitchen, small cellar, open dining space and very nicely decorated living room with open fire place, reading area, visitors toilet and a mezzanine of 12m2. 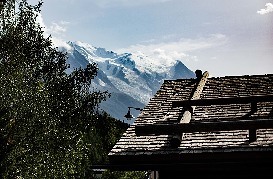 From the dining/living room area there is a direct access to a large south-west terrace facing the Mont Blanc. 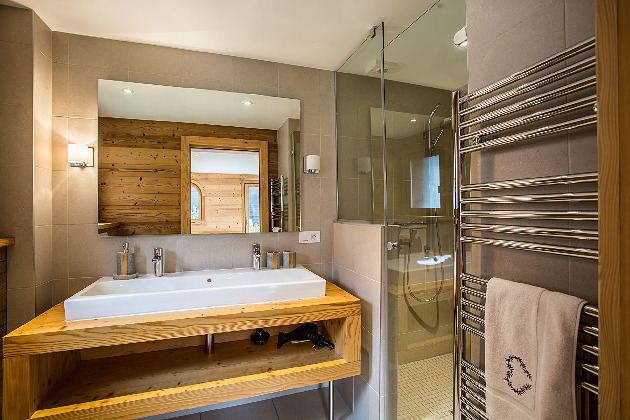 In the fully excavated basement there is 1 double-bedroom with ensuite, sauna/relaxing area/shower area, large cinema/play area, laundry room. 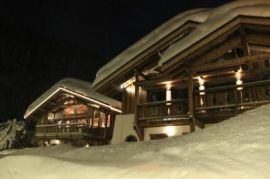 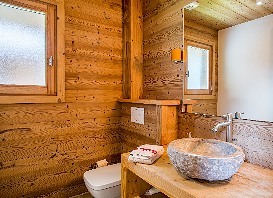 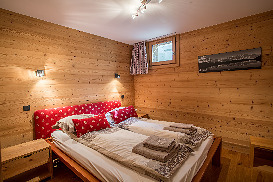 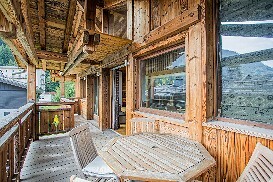 Click for Prices and Availability for Chalet Geants now. 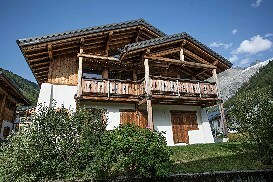 4 en-suite double bedrooms.Living room with open fireplace. Sauna and relaxing area. 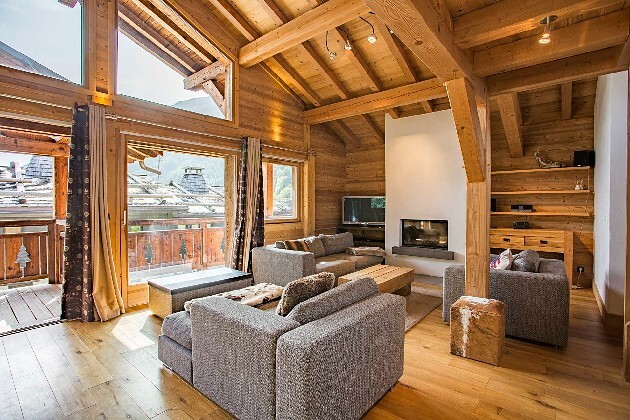 Cinema/play area. 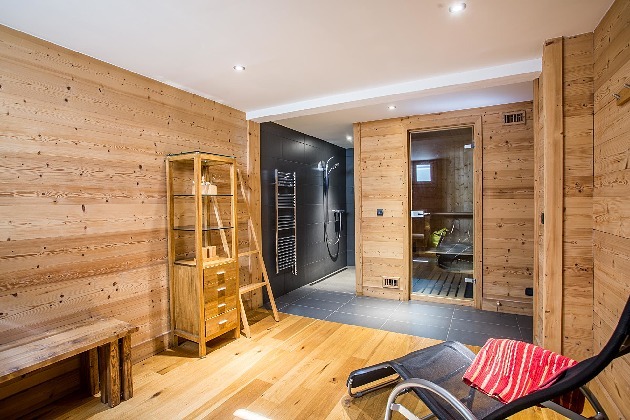 Nespresso machine, WIFI, large plasma TV screen in the living room, large TV in the cinema/play area, DVD, CD, HI-FI, washing machine and dryer. 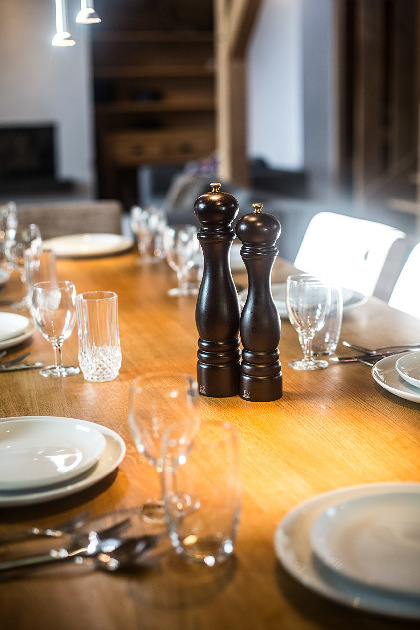 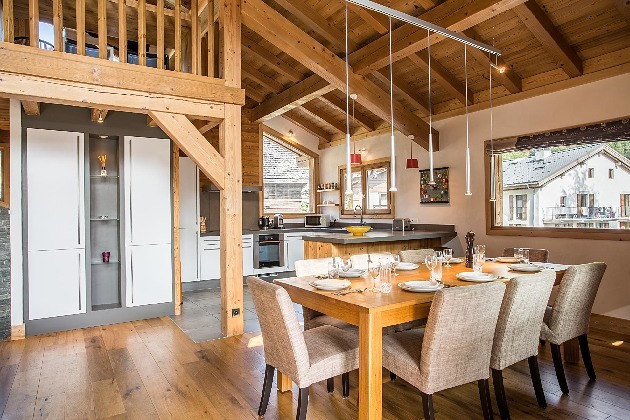 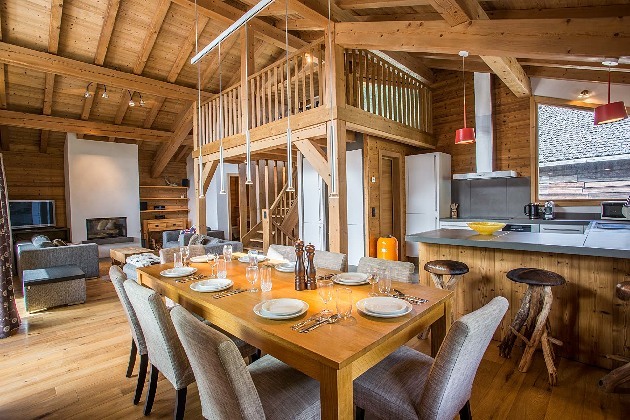 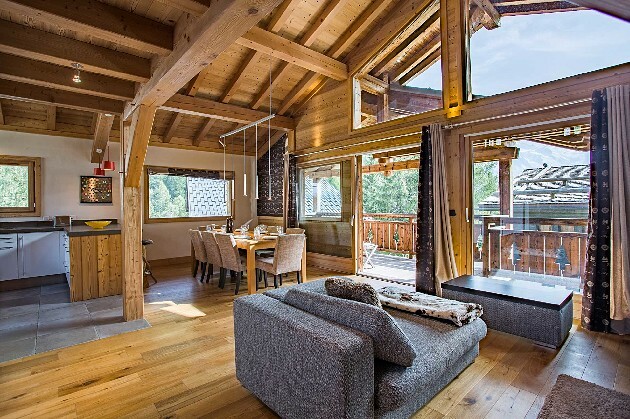 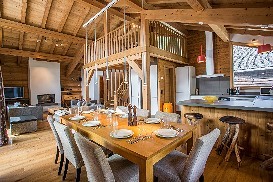 Chalet Geants is a self- catered luxury ski chalet perfect for groups and families of up to ten people. 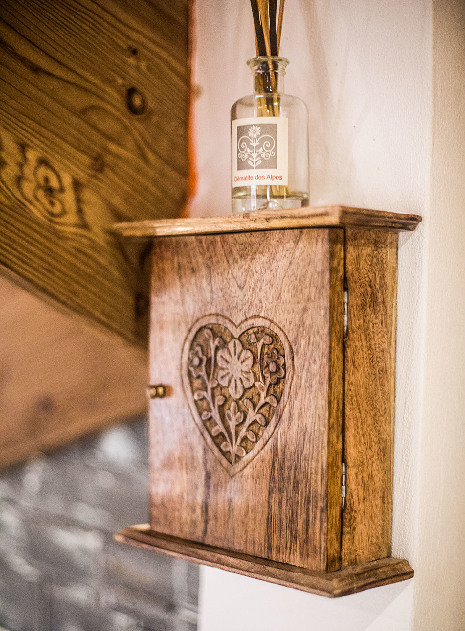 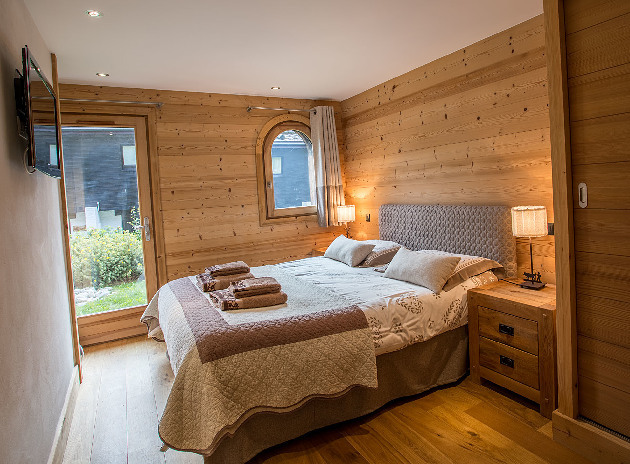 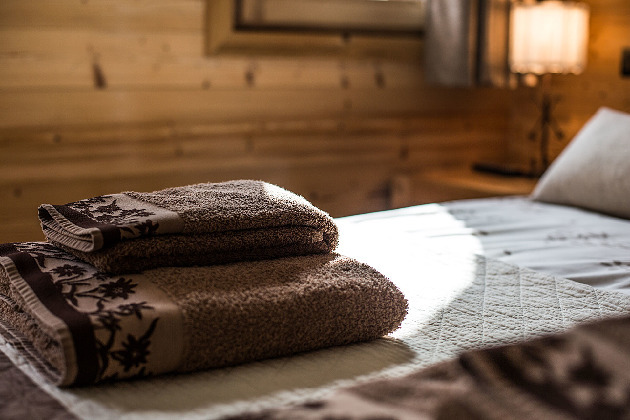 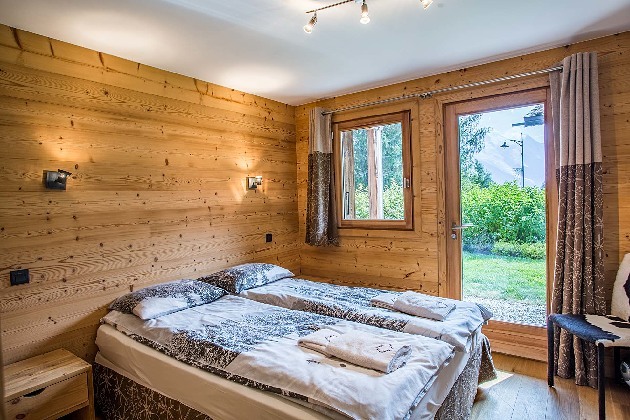 The chalet comes fully-equipped with four en-suite double bedrooms, large living room with open fireplace, cinema/play room, Wi-Fi, and sauna.